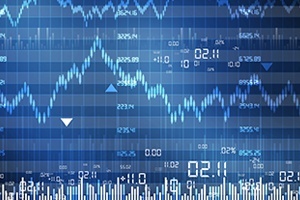 What Can Consumer Confidence Tell Us About the Markets? Yesterday, we talked about what consumer confidence might be telling us about the economy. It seems the current news is great—with confidence very high and up over the past year. But a closer look at the data showed that there are some real signs that the future might be considerably less cheerful than the current data would suggest. As investors, though, this information is of limited use. We don’t invest in the economy; we invest in the financial markets. 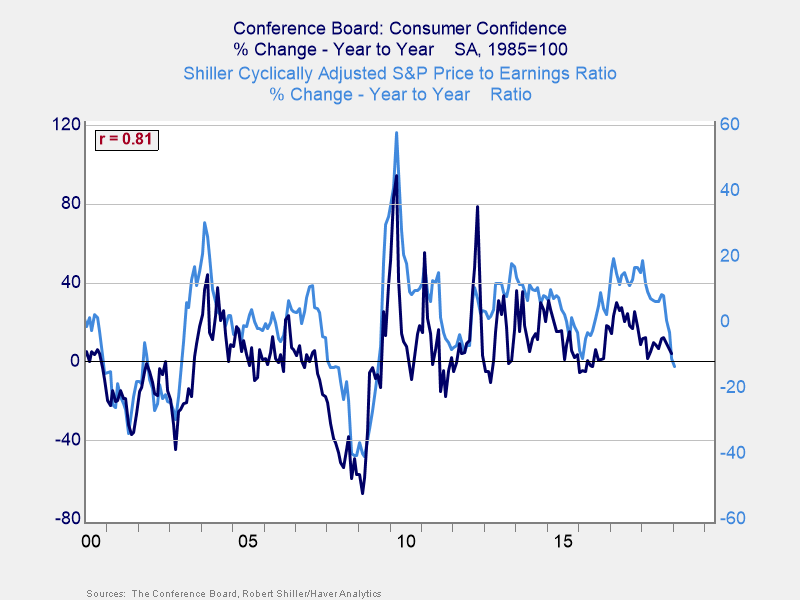 Can consumer confidence tell us anything about those? It certainly can. Are high stock valuations at risk? 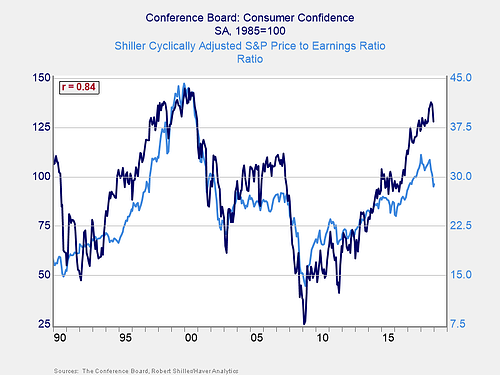 In the modern era (i.e., the past 30 years), long-term stock valuations have tracked consumer confidence quite closely, including in their most recent pullbacks. Based on the risks we discussed yesterday, one of the foundations of the current bull market—high valuations—could be at risk if consumer confidence drops faster than expected. Over the past 20 years (as shown in the chart below), declines in valuation levels and confidence have been correlated just about as strongly. Of course, you can argue about the causality here. But, intuitively, it makes sense that both data sets affect each other in a feedback loop. A decline in confidence would affect spending and, therefore, sales and profits. In turn, lower sales and profits would hurt the market and potentially hit confidence some more. In that sense, the causality isn’t the real issue, just the combined effects. We see the same effects, although to a lesser extent, with annual changes in business confidence. Again, this relationship makes sense. Business spending is a significant component of the economy, although smaller than the consumer, so these effects are exactly what we would expect. When you look at the shorter-term confidence data, we see the same story. But the causality is more direct and, therefore, probably less useful as an indicator. Looking forward, as long as confidence holds, we can probably expect valuations to hold as well. This is important, as stock values are composed of two variables: earnings and valuations. Growth in values can come from either or both. But when valuations are dropping, even rising earnings may not be enough to offset declining valuations. This is what matters for investors over the next couple of years—what happens with valuations. Fortunately, the news is fairly positive. As of the end of 2018, valuations were at close to the lowest levels since 2013, potentially limiting the downside risk. 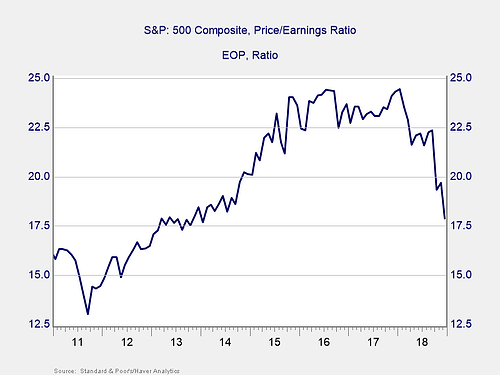 If valuations stay steady at the current low level, per the past six years, and earnings rise, the market would rise as well. With earnings growth estimated at around 10 percent, that would mean reasonable gains this year. If confidence rose and valuations picked up, the market could appreciate even more. 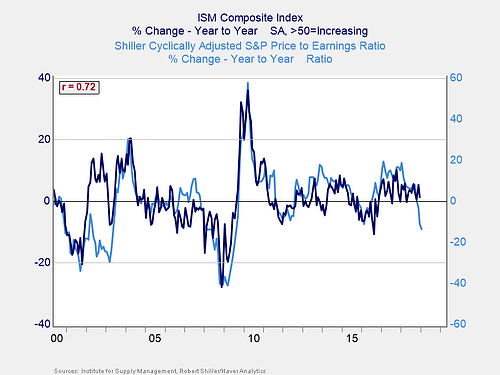 If, on the other hand, confidence faltered and valuations dropped below the recent history, which is certainly possible, the effect could overwhelm rising earnings and take the market down instead. 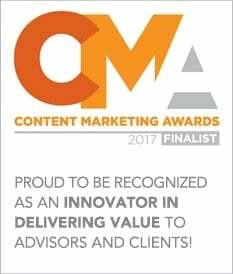 This is why confidence matters for investors. Right now, the base case remains positive. With earnings expected to keep rising and with valuations low per recent history, continued appreciation seems reasonable. Add in the real possibility that many of the issues currently weighing on the market will be resolved, and the positive scenario looks even more likely. This outcome is not certain, though. One of the big wild cards will be if consumer confidence pulls back. That is why we will be keeping an eye on it.